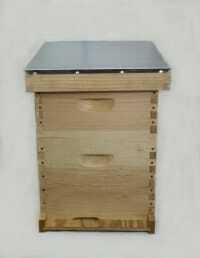 The bee hive kit is a Starter hive that will get the beekeeper started in beekeeping. The colony will be expanding during the first 8 weeks. After 8 weeks, you will normally need to add another super to this standard hive. The hive is made of Eastern White Pine wood from the New England area and then manufactured here in Toccoa, GA. Plywood is from Georgia grown pine. 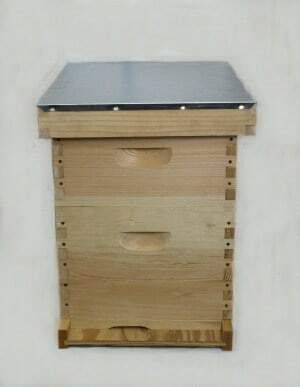 You will receive the following items: (1) solid bottom board, (1) entrance reducer, (1) brood box, Brood box frames & foundation, (1) medium super, super frames & foundation, (1) inner cover, (1) telescopic cover.